The Common Council wasted no time getting their investigation into the Health Department underway. After approving the probe this morning, the entire council held a marathon hearing this afternoon where Mayor Tom Barrett and members of the Health Department answered question after question regarding the city’s lead abatement program. 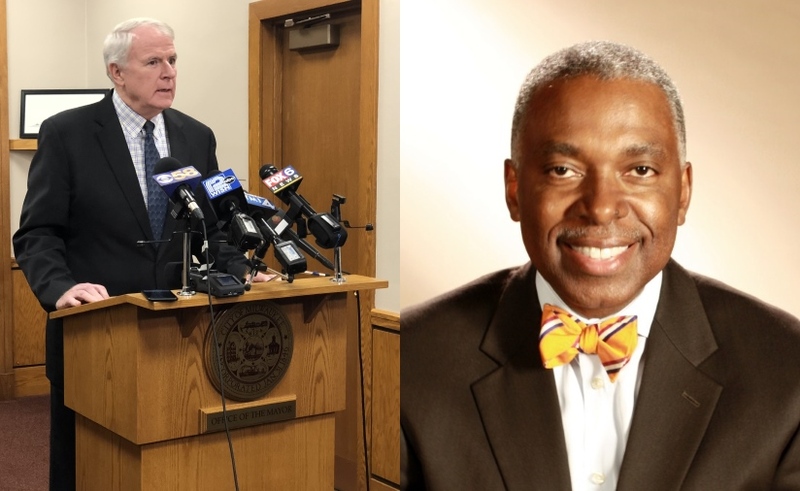 One veteran aldermen said Barrett had never before been questioned at such length during his 13-year tenure as mayor. The hearing comes after Barrett announced last Friday the resignation of Health Department Commissioner Bevan K. Baker and disclosed three years of errors discovered with lead poisoning notification data. Council president Ashanti Hamilton began the hearing by stating “We are at a pivotal moment in our city where both thoughtfulness and urgency will have to be given to this lead issue,” before ceding the floor to Barrett. The mayor laid out the timeline by which his office, and ultimately Barrett himself, became aware of the specific issue with the Childhood Lead Poisoning Prevention Program. Barrett said he began raising questions after learning the city was not spending federal Department of Housing and Urban Development funds for lead paint abatement at rate expected by HUD, which he learned during routine November and December management meetings the mayor holds with department heads. After demanding follow-up information, Barrett was made aware of a serious issue with the program on January 4th, the issue of missing data on notification of families about elevated lead levels. The Health Department was given the weekend to find more information, and when none was provided to the mayor’s satisfaction, Baker and Barrett mutually agreed that a new direction was needed at the department. Responding to a question from Alderman Robert Bauman, Barrett said he never asked Baker to resign. Baker resigned on Thursday, January 11th and on Friday, January 12th the Mayor held his press conference. Even if all the letters to families were sent as required, there is no precise documentation of it. “We know at a minimum there is sloppy bookkeeping,” said Barrett. To remediate the issue, Barrett says the city will now send 8,000 notifications to affected families that may have previously received a notice dating back to 2015. Interim department head Paul Nannis is being charged with ensuring the department has adequate staffing levels to perform follow-up tests. Having made his case, Barrett and Health Department staff were than hit with questions, lots and lots of questions. Barrett appeared to answer many to the council’s satisfaction, while questions to the Health Department staff who joined Barrett for this session generated mixed reactions. Barrett cautioned that the council should wait to discuss personnel matters until they were able to go into closed session. He noted that an investigation was underway, but that no criminal activity was believed to have taken place. One thing the council took issue with was perceived sloppy records management by the department, which seemed to be a major cause of problems. The city has been using a paper bookkeeping system and has only recently begun the process of preparing for a transition to computer-based record keeping for the notifications, which are required by the state. The issue quickly expanded beyond its bookkeeping to the department’s practices. Numerous council members expressed surprise to learn that when extremely high levels of lead are found the Health Department does a home environmental assessment, but until 2018 only looked for issues with lead paint. The HUD grants that fund such work don’t require or pay for water testing, nor does state statute require this be done. The Health Department sought an opinion from the City Attorney’s office on whether the city could test the water in homes which could be potentially contaminated by lead laterals, but did not receive a response for a number of months. According to Health Department representatives, the attorney only provided an opinion verbally. The department then proceeded in late 2017 to update their policy to begin offering voluntary testing of water — when homeowners agree to it — starting in 2018 when they do environmental assessments. Ald. Russell W. Stamper, II and other council members expressed surprise that it was only voluntary. Responding to a question from Ald. Robert Donovan about the potential for a U.S. Attorney’s investigation, Barrett said he would welcome the investigation. He said the city intends to work closely with the federal government’s Center for Disease Control to improve practices within the department. Barrett also said he would be amenable to an audit conducted by an outside party, but would need to see the specific legislation. The audit is being proposed by council members Tony Zielinski, Jose G. Perez and Stamper. Health Department representative Sarah Zarate walked the council through the process by which the department administers the program. She told the council the issue dates back to 2015, which is when a noticeable amount of bookkeeping errors first appear. According to Sandra Rotar, since 2015 there has been a significant amount of staff turnover at the department. Rotar is the top ranking member of the department following Baker’s departure. Department Director of Disease Control and Environmental Health staffer Angela Hagy got into a heated back-and-forth with the council regarding the timeline and contents of a whistleblower email from former employee Benjamin James. Hagy claimed she was acting on James’ concern regarding water testing in advance of him sending his email to the council and mayor on December 28th. She told the council the department had not acted on implementing water testing because it was awaiting an opinion from the city attorney. Said Donovan, the resident law-and-order member of the council: “I hope to God this investigation tells us who is responsible for this.” Hamilton said the council has identified what division of the department the data breakdown occurred in, but has yet to identify a single source. The sometimes contentious hearing was more tense because of the behavior of some audience members. Freshwater for Life Action Coalition president Robert Miranda made constant remarks under his breath before storming out of the room midway in the long meeting. The council spent an hour in closed session after two-and-a-half hours of debate. Barrett described the private discussion as “serious,” while numerous council members declined to discuss the closed-doors meeting. The council is likely to introduce legislation regarding the city’s health policies in the coming weeks. Hamilton stressed that the council will seek to divide the legal issues from the departmental issues. The city will also need to find a new Health Commissioner. A national search will be conducted to find Baker’s replacement. Nannis, who held the job before Baker, is back for a period of 120 days and is not seeking the post permanently. No article I’ve read clarifies how the city becomes the responsible party for notification. Where did the tests that showed elevated results take place? One would think that if that place were a hospital or other medical facility, they’d deal with notifying their own patients. What about Bevan Baker. The MJS reports there were widespread complaints about him in the Health Dept. We is HE not to blame, primarily? To barely mention him makes no sense. Unfortunately this has taken on a political slant with finger-pointing in all directions – except for the direction where funding is a problem. The HUD Lead Grant program has numerous qualifications and absolute requirement related to spending one federal dollar on a home that cannot show registered ownership, taxes paid, etc. These requirements are definitely there to protect the taxpayer who contributes to the funding, as there would be one huge stink if work was done on an ineligible property. As for record keeping, the Council and Mayor need to know that more than half of these families occupy more than one residence per year, and evidence of letters being received cannot be the sole responsibility of the Health Dept. – especially when the blood was drawn by another provider. The question of lead in water is likely not going to be solved by filters being distributed (and often not installed) if an old existing lead line is involved. Many, many of these young kids are in multiple locations in one week, and lead paint is the major contributor of lead dust in many of the places they visit. These homes/facilities are rarely cited as primary sources of lead hazards. My past experience with MHD as the Lead Projects Coordinator makes me a skeptic around several of the issues that uninformed councilpersons might yell about. Keeping records is only a small part of the whole. I do hope that Milwaukee will support the efforts of this branch of the Public Health Dept.